Choosing your Seattle SUV: 2018 Volkswagen Atlas or Toyota Highlander? Which SUV Is Better Suited for Seattle? 2018 Volkswagen Atlas or 2018 Toyota Highlander? The Toyota Highlander is one of the best-selling SUVs in the world, and with impressive safety and a sleek look, that makes sense — but does it offer you the most value in this segment? Perhaps not anymore, as the all-new 2018 Volkswagen Atlas has arrived! It's the first three-row crossover from VW, and it's brimming with power, as well as plenty of safety and tech features the 2018 Toyota Highlander is lacking. We'll detail below what makes the 2018 VW Atlas such a persuasive choice in this segment. It turns out German engineering is still tough to beat. With just 27.7" of third-row legroom, the 2018 Toyota Highlander might offer seating for up to eight, but the rear row isn't very accomodating for fully-grown adults. 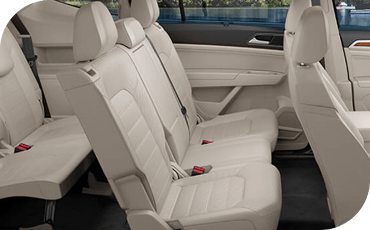 The 2018 Volkswagen Atlas gives you comparable legroom in the front two rows, with an additional six inches of legroom in the wayback compared to the Toyota Highlander — making it legitimately comfortable for adults and kids alike! 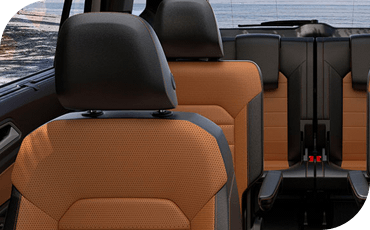 And when you fold both rows of seats, the VW Atlas offers a downright cavernous 96.8 cubic feet of room for gobs of cargo. The 2018 Toyota Highlander offers only up to 82.7 cubic feet. The easiest, fastest way to pair your smartphone with your car is through Apple CarPlay™ or Android Auto™, and they're both totally standard on the tech-packed 2018 Volkswagen Atlas. 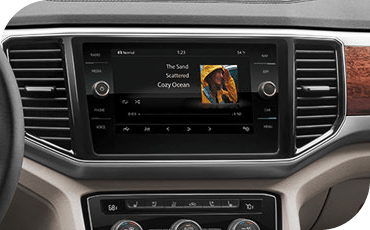 The 2018 Toyota Highlander offers bluetooth phone connectivity — but neither CarPlay™ nor Android Auto™ are available at all. Both these family crossovers offer an efficient four-cylinder engine as standard with a powerful V6 upgrade for those who demand more horsepower for a sportier drive. 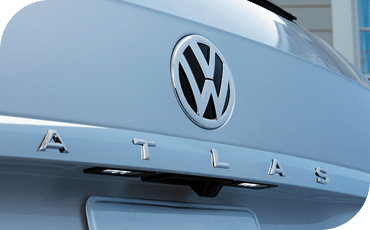 However, the Volkswagen Atlas offers greater power for less fuel! Its four-cylinder base engine is turbocharged to deliver 235 horsepower — or 258 horsepower with premium fuel. It'll also achieve up to 26 highway MPG while doing so. That's compared to just 185 horsepower and 24 highway MPG from the base 2018 Toyota Highlander. When it comes to safety, you can't go wrong with either of these SUVs according to government crash testing. The National Highway Traffic Safety Administration gave them both a 5-star overall safety rating, and the Insurance Institute for Highway Safety dubbed them both a 2018 Top Safety Pick. 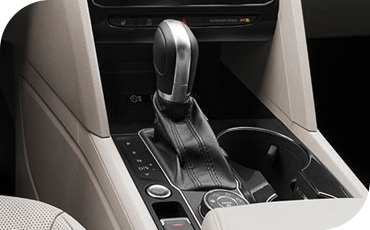 But when it comes to securing the whole family, you'll find the 2018 VW Atlas does have a major advantage: It offers three LATCH-compliant anchors and tethers for child seats, as well as two bonus tethers in the third row. Disappointingly, the 2018 Toyota Highlander provides just two LATCH-compliant child seat anchors. Today's modern vehicles are equipped with driver assistance features to help you react to rapidly-changing traffic patterns. Most such features are available on both these SUVs, including crucial safety systems like automatic pre-collision braking, lane keep assist and blind spot monitor. That said, there are a few driver assistance tricks only the VW Atlas is capable of. The available Park Assist system measures parking spots to first determine if the sizable 2018 Volkswagen Atlas will fit, then steers you into them. Whether perpendicular or parallel, all you have to do is use the gas and brake, and shift into reverse as necessary. Park Assist does the rest! Available Park Distance Maneuver Braking even brakes automatically to mitigate or avoid a fender-bender during parking maneuvers.